Six-year-old Isobel speaks English as an Additional Language. Personalised support has helped her develop skills with phonics – she’s beginning to read with confidence and loves coming up with her own sentences. 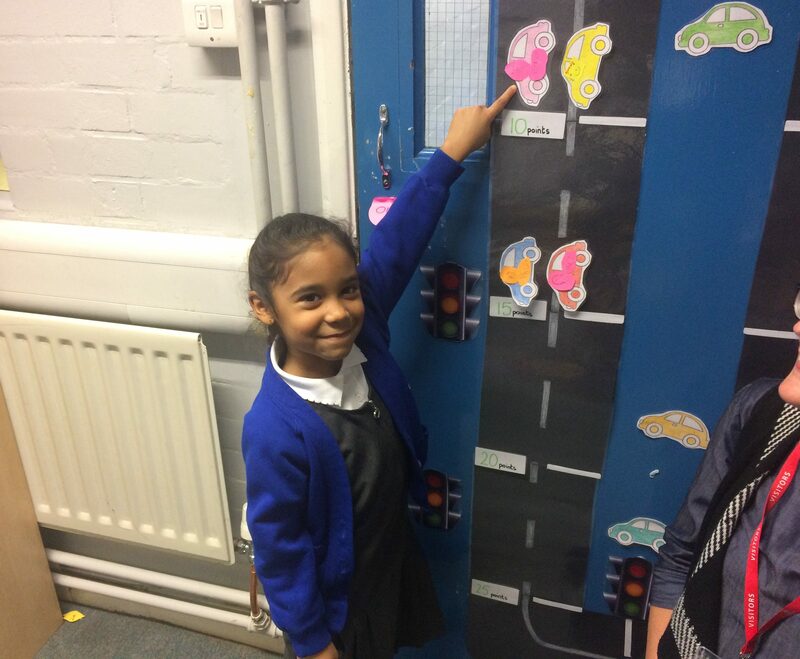 Isobel proudly moves her pink car along to the ten points mark on ‘The Road to Writing’. 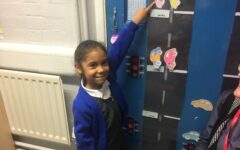 Attached to the back of the Literacy Lab door, the Grand Prix-style chart, complete with chequered flag, is designed to boost writing skills for the children receiving one-to-one support from our tutors. Each child from the Literacy Lab has their own brightly coloured car, which they move along with every writing achievement. 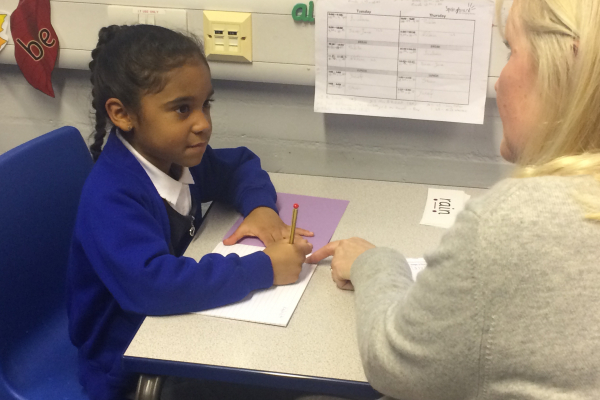 “What was the sentence that you wrote today?” asks Val, Isobel’s tutor. With short-term memory identified as a development point for Isobel, the fact that she has remembered this sentence from earlier in the session is a clear reflection of her progress. 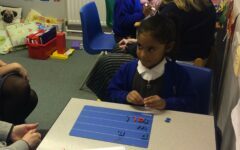 Isobel started coming to the Literacy Lab in January 2019 at the age of six years and two months after her class teacher noticed that she was having difficulty with phonics. Our tutor’s assessment confirmed her difficulties with sounding out and blending and indicated that she had a reading age of a 4.5-year-old. At home, she speaks Spanish, and has some gaps when it comes to English vocabulary. 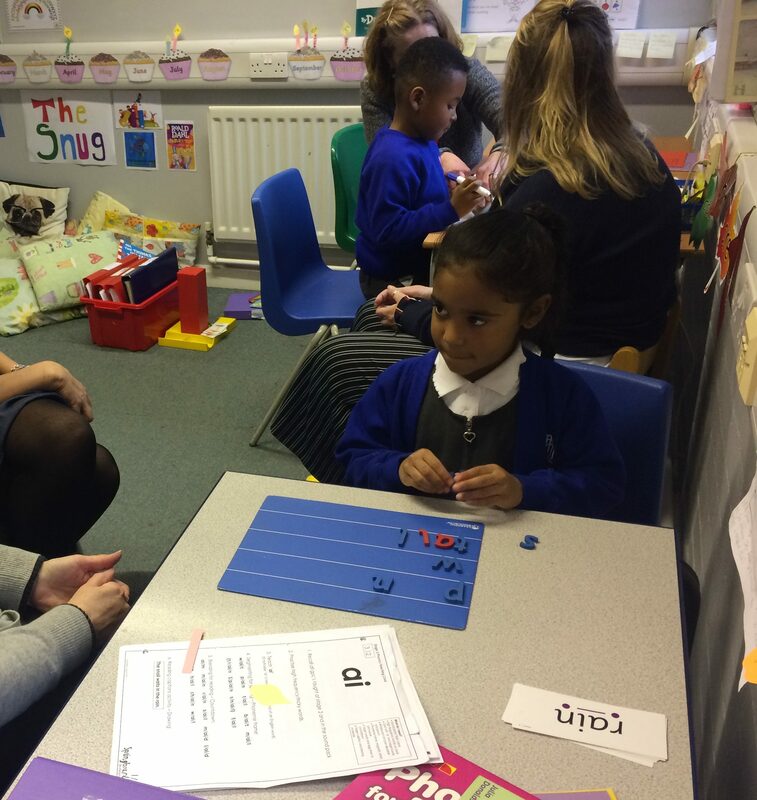 In recent weeks, Val has been working with Isobel to develop her skills with phonics and boost her language. In today’s session, she has been concentrating on the ‘ai’ sound, reading words containing ‘ai’, such as ‘tail’ and ‘rain’, from flashcards and creating them on a board with magnetic letters. “Can you think of an animal with a tail?” asks Val. 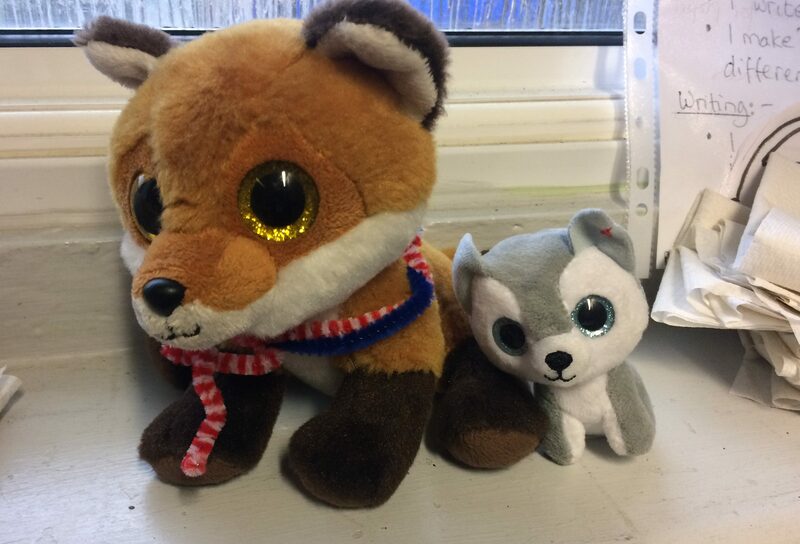 Isobel thinks for a moment and then says ‘fox’, perhaps inspired by the two cuddly foxes who peer down from the window sill of the Literacy Lab and help make children feel at home. Prompts from Val such as, “What shall we take away from ‘tail’ to make ‘mail’?” help Isobel to spot the patterns in words. She then comes up with and writes her sentence about the snail waiting in the rain. The session then moves to reading a book – Fish and Chips by Julia Donaldson from the Songbirds series. It’s an opportunity for Isobel to practise her sounding out and blending skills, gain vocabulary, and feel the buzz that comes from reading a simple story. At the end of the session, she chooses to play a game in the style of Connect Four. To help boost her critical thinking, Val encourages her to think carefully about the other player’s counters and what she might need to do to block them. Did you know…? We also support children through Community Literacy Labs. Isobel points to her car on The Road to Writing. 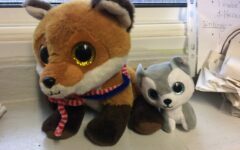 The Literacy Lab has resident foxes.